Why You Should Hire a Licensed Master Plumber - Nowthen Plumbing, Inc. The plumbing inside our homes is something we often take for granted. We expect the sink to drain, the toilet to flush, the hot water to magically appear. These aspects of our home work properly thanks to efficient and effective plumbing that involves an array of pipes, drains, and other often complex plumbing systems. When one of these home systems needs assistance, whether it’s a leaky water pipe, a backed-up sink, or the installation of a whole new bathroom, the work should undoubtedly be trusted to an experienced, licensed plumber of the highest level. Master plumbers are licensed in the plumbing industry and approved by the state. Licensed plumbers work their way up to “master plumber” status, acheiving the highest level of experience and expertise. Their license means they have passed rigorous exams, adhered to all guidelines and regulations, and have years of experience under their belt, working as apprentices and on their own. They have been educated as well as learned from trial and error on the job, meaning your plumbing emergency will not be a new one to them. They have earned the right to claim the master title. Why Hire a Master Plumber? We all love to save money. But we also love to make wise investments. Hiring a master plumber is one of those investments. Licensed plumbers charge reasonable, fair rates that account for their expertise, time, and expensive specialty equipment, including pipes, pressure gauges, blueprints, and welding equipment. Without proper plumbing, you run the risk of costly repairs in the future. While you can take the risk and cut corners by hiring a non-licensed handyman or plumber for less, the result could be a longer project timeline (costing you more anyway) or mistake-prone work that could result in later repairs. Hiring a master plumber will provide you with a guarantee that the work will be completed in a satisfactory manner. Knowing your plumbing work is up to code (and that your plumber is aware of current code) is a huge peace of mind. Licensed plumbers are insured. The job involves being exposed to dirt, heat, and even danger. Knowing your master plumber has insurance coverage protects you from legal and medical concerns. The bottom line is: investigate your plumber and know their credentials and experience. The role of a plumber involves specific knowledge and fine-tuned skills. 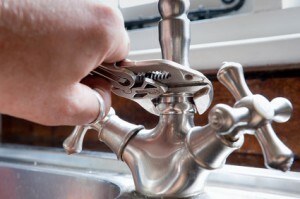 A licensed plumber will execute their job professionally, and with customer satisfaction in mind. Whether you have a home or office plumbing emergency, or need plumbing assistance with a bathroom or kitchen remodel, Nowthen Plumbing has a team of highly trained licensed plumbers ready to serve you with efficiency and excellence. Our pricing is fair, consistent, and competitive. We serve the entire North Metro Twin Cities, MN area, including Anoka, Blaine, and Elk River. Contact us at Nowthen Plumbing today!